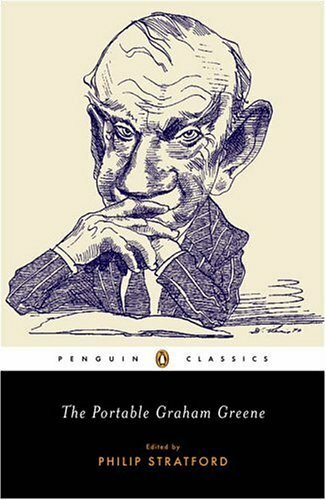 In a range of work including novels of literary suspense that test both their protagonists souls and their readers nerves to the breaking point, Graham Greene explored a territory located somewhere on the border between despair and faith, treachery and love. This volume includes the complete novels The Heart of the Matterand The Third Man, along with excerpts from ten other novels; short stories; selections from Greenes memoirs and travel writings; essays on English and American literature; and public statements on issues that range from repression in the Soviet Union to torture in Northern Ireland to the paradoxical virtue of disloyalty. Heart of the Matter, Our Man in Havana and The Quiet American. Greene was also a world traveler and he used his experiences as the basis for many books. One popular example, Journey Without Maps (1936), was based on a trip through the jungles of Liberia. Greene also wrote and adapted screenplays, including that of the 1949 film, The Third Man, which starred Orson Welles. He died in Vevey, Switzerland in 1991.
also written children's books, radio and television scripts, and more than a dozen plays. Maillet was the first non-French citizen to win the Prix Goncourt for Pï¿½lagie-la-Charette. With that epic novel, she gained recognition for Acadia as she herself became known throughout the world as a spokesperson for her people. Among her many literary prizes are the Prix France-Canada and the Governor General's Award. She is also a Companion of the Order of Canada (1982), Member of the Queen's Privy Council for Canada, Officer of the National Order of Quï¿½bec, Officier des arts et des lettres and Officier des Palme's acadï¿½miques in France, and Commandeur de l'Ordre du mï¿½rite culturel in Monaco. She has received honorary degrees from more than 25 universities in Canada and abroad and has served as chancellor of Universitï¿½ de Moncton, her alma mater. The late Philip Stratford grew up near Sarnia and lived in Montreal, where he had a distinguished career as an academic and poet. A pioneer translator of Canadian fiction and poetry, he was the founder and first president of the Literary Translators Association of Canada.